The Australian Whitsunday Islands are the ideal holiday destination, offering secluded beaches, luxury resorts and access to the fascinating under-water world of the Great Barrier Reef. It could not be more perfect. 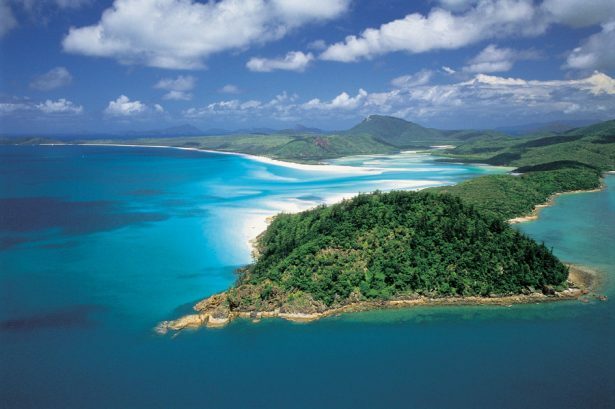 Whitehaven Beach is without doubt one of the most beautiful beaches in the world. The unique, bright white is provided by a fine sand made of almost 100 percent silicate. It forms the 7 kilometer long beach. Whitehaven Beach is located on Whitsunday island that is part of a national park. 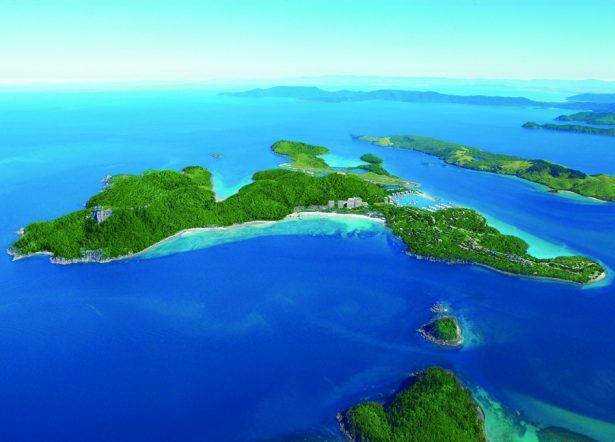 There are neither hotels nor restaurants on Whitsunday island. It is uninhabited and therefore not spoilt by hotels, restaurants or other forms of ‘civilisation’. 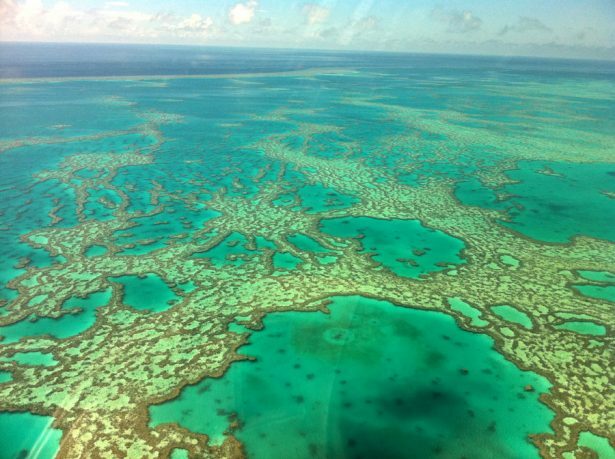 The highlight of every Whitsunday trip can only be reached by boat or seaplane on a day trip. Tip: The most beautiful view of the beach and the bay “Hill Inlet”, located at the northern end, is from the lookout Tongue Point (if you discount the approach by sea plane). Some tour operators offer designates visits to just the lookout. It is one of the greatest natural wonders our planet has to offer. 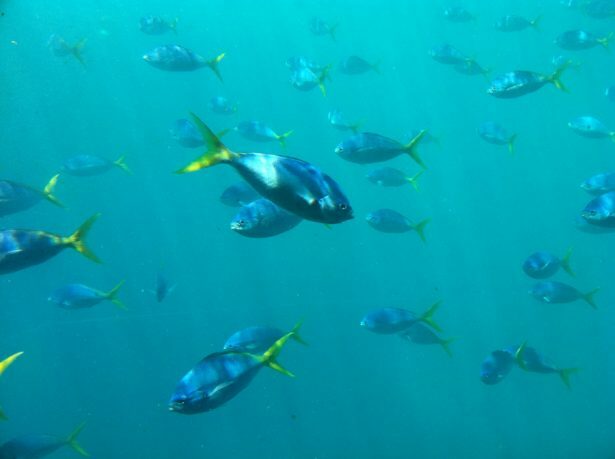 The Great Barrier Reef is a habitat for about 1500 species of fish and 400 species of coral, as well as seabirds and fascinating sea turtles. The floating platform “Reef World” is located about 90 nautical miles from the mainland on the edge of Hardy Reef and offers visitors the opportunity for snorkeling or diving, helicopter flights over the reef or trips in a semi-sub. Tip: Spending one night on the reef is a very special experience. The reefsleep offers a maximum of six guests the opportunity to have Reefworld on their own for a few hours and to experience Hardy Reef in private. 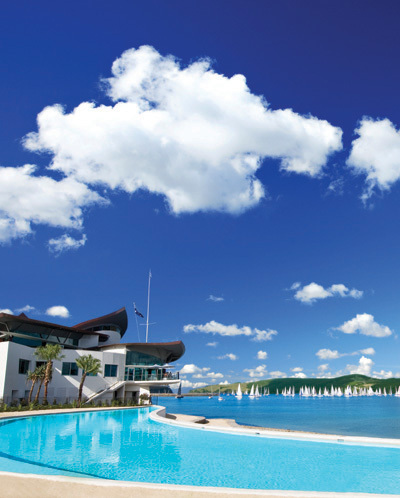 With its own airport and direct flights to Sydney and Brisbane, Hamilton Island is the most central starting point for excursions to the region. 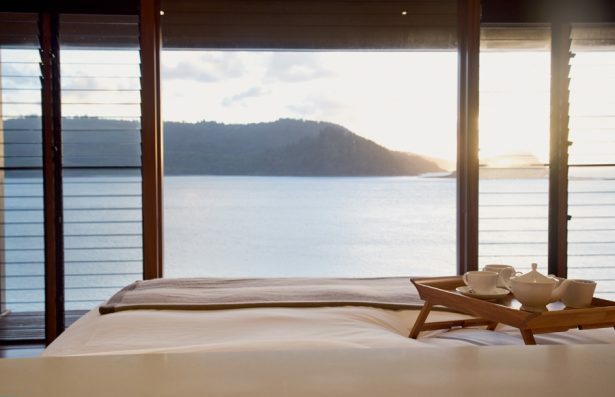 A coolly designed yacht club, a golf course on the neighbouring island and Australia’s most luxurious resort Qualia, make Hamilton Island not only interesting for standard package holidays but also have an offer for those Whitsunday visitors who like treat themselves on holidays. Tip: The Australian Ballet will be giving a guest performance on Hamilton Island from July 1st to 3rd and show its dance performance on Qualia Beach. The resort offers a special package for this event under the name Pas de Deux in Paradise. No, the Whitsundays are not the Castro and that is why the 74 islands are cruised “classically” on yachts, sailing boats or catamarans. Whether on a fun tour on a quick cat from Ocean Rafting or a several-day trip on an old sailing boat: You will find numerous beautiful snorkeling areas and lonely beaches in and on the turquoise waters around the islands. You will also often encounter whales giving birth here in the winter months between July and September. 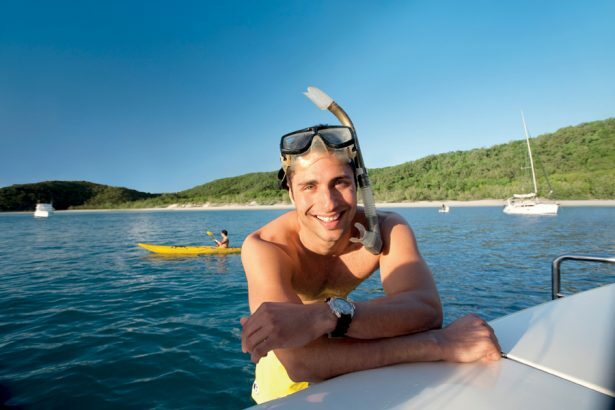 Tip: The most beautiful and cheapest way to experience the Whitsundays island world is on board a ship. A three-day trip on the historic sailing boat Solway Lass costs from about 440 Euros per head in a double cabin. 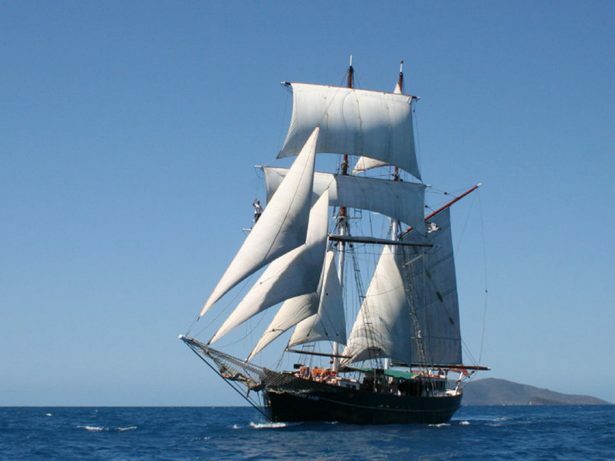 The price includes three nights on board as well as food and excursions to Whitehaven Beach. Pure romance! Within the Hardy Reef and just a few kilometres from Reef World, nature has created a small reef in the shape of a heart. Heart Reef is not only a popular postcard motif but also a perfect place for marriage proposals or other expressions of love. 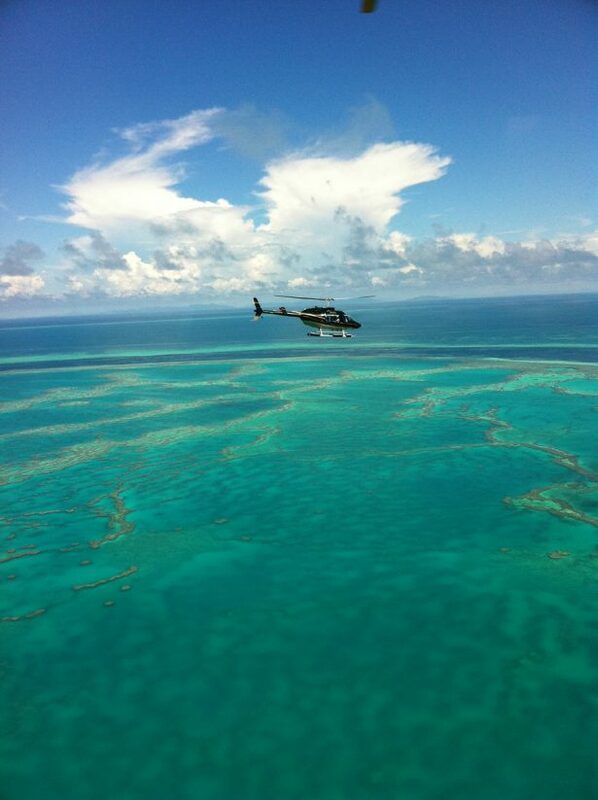 You can pass it on a scenic flight by helicopter flight from Reef World or the mainland. 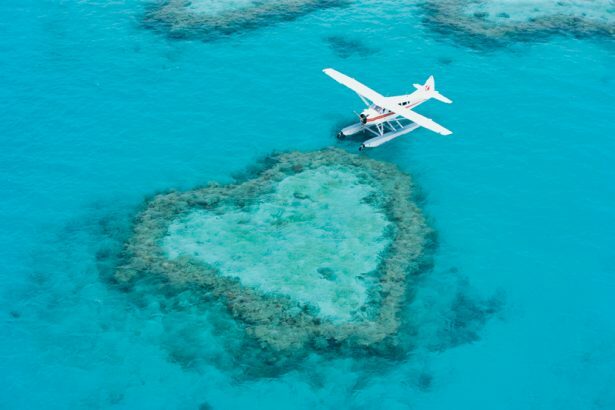 Tip: If you don’t mind any extra expense or effort for your loved one, it is best to charter a seaplane and land directly at Heart Reef. You can swim or snorkel hand in hand around the reef – accompanied by numerous fish and with a little luck: a sea turtle. Official homepage of the region including information on hotels, highlights and tours. Offcial website of the state of Queensland offering plenty of tips and information. Homepage of Visit Gay Australia. Designated information for gays and lesbians on some destiantions in the state of Queensland apart from all other states of Down Under.